ITB-Digital contributor Michael Marks of Hawaii was nice enough to write out an account of an epic, unexpected run in with a pack of ravenous bigeye. Check it out… Thanks for the story Michael and keep em coming! The anticipation had been building for a few weeks as a plan was hatched, and the moving parts all started to come together. The crew was solid and consisted of Captain Cyrus Widhalm, part owner of Honey – a beautiful custom 40-foot Buddy Davis, co-owner of Honey Mark Rodrigues, deckhand extraordinaire Nick Watson, owner of the tournament winning El Jobean, Larry Peardon, Brian Cibulka, owner of Relentless and yours truly. The 4:30 wake up and raw anticipation that comes with the pre-dawn loading up of the boat for a 2-day-overnight trip down to South Point had peaked at about 6 am….and slowly given way to a lot of blue water and zero action. The opelu at the secret submerged bait buoy were essentially unattainable. They were everywhere, but getting decimated by predators as soon as they bit. An hour and change of work turned into two measly baits. We resorted to running south for a bit and jumped into ono lane. The run proved to be scenic and beautiful as we skirted alongside the prehistoric looking cliff filled shoreline, but the onos refused to play ball as well. Four hours and not a touch. As we continued to push south, Captain Cyrus made the call to head outside to “B” buoy. There were some skiffs around, scattered birds and little tunas breaking water occasionally. The general liveliness of the area gave us renewed hope. We busted out the small gear, rustled up a 4-5-pound aku (skipjack) for bait, bridled it up along with an opelu and sent them back out for a swim. The fish finder showed some serious signs of life. Consistent stacks of medium sized marks down deep that looked like potential tuna, and some big solo marks that looked the part of marlin. We worked the area. Hard. And after a few hours, and a number of tricky tactics to get the opelu down deep and face to face with the tuna when we marked them, we had nothing to show for it. The excitement we had first thing in the morning pretty much left us. Frosty IPAs and an assortment of other adult beverages were the only things driving the positivity at this point. All of the other skiffs that were dropping bait at the buoy for tunas seemed to be striking out as well, but Captain Cyrus was convinced that there was just too darn much life underneath us for nothing to happen. Finally, after a number of hours turning fruitless laps around the buoy, he finally proved to be right! 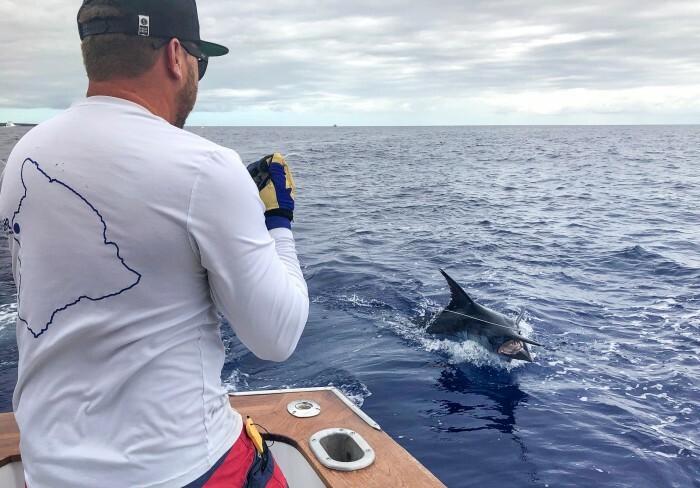 Nearly 26 hours after the first boat wet their lines in Australia, The Trouble Maker out of Kona Hawaii called in their hook up at just after 6 PM Eastern time. With many boats catching and releasing small blue Marlin the Trouble Maker continued to fight for over 2 1/2 hours until they boated a blue marlin that measured 120 inches with a 64-inch girth. At approximately 9:30 pm Eastern Time Trouble Maker’s blue marlin weighed in at 760.5 pounds. Tournament director, Robert “Fly” Navarro, says the World Cup team is already planning for a bigger and better tournament next year. Note the date on your calendar, and sign up early to match your blue marlin fishing skills against the rest of the world. 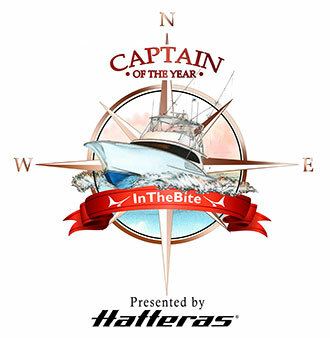 The InTheBite Captain of the Year Cup, presented by Hatteras, is the championship of sportfishing. 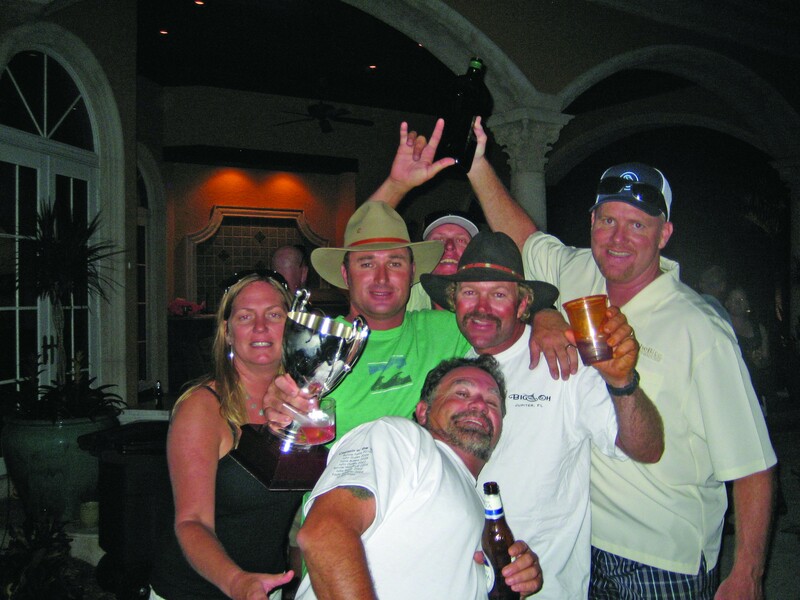 The Cup is the world’s only quantifiable way to recognize the tournament success of professional sportfishermen. Comprised of 90-sanctioned events that span the world, there is nothing else like it. Winning an InTheBite Captain of the Year Award is a major achievement. From the winners to the Cup’s origin, it is an interesting tale. InTheBite Magazine started in 2003. 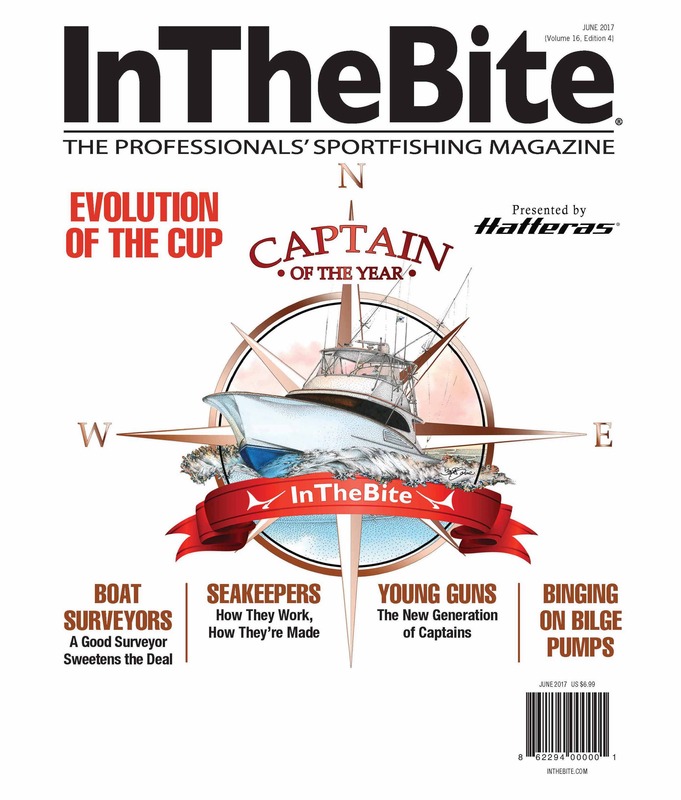 Since its conception, the magazine has focused on providing useful, entertaining content for professional sportfishing crews. 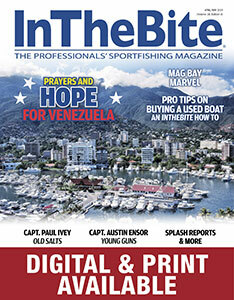 InTheBite’s publisher and founder, Dale Wills, was the son of a captain and himself ran sportfisher in Venezuela during the fishery’s heyday. Over the course of covering the sportfishing landscape in the magazine’s formative years, Wills began to notice that something was missing. 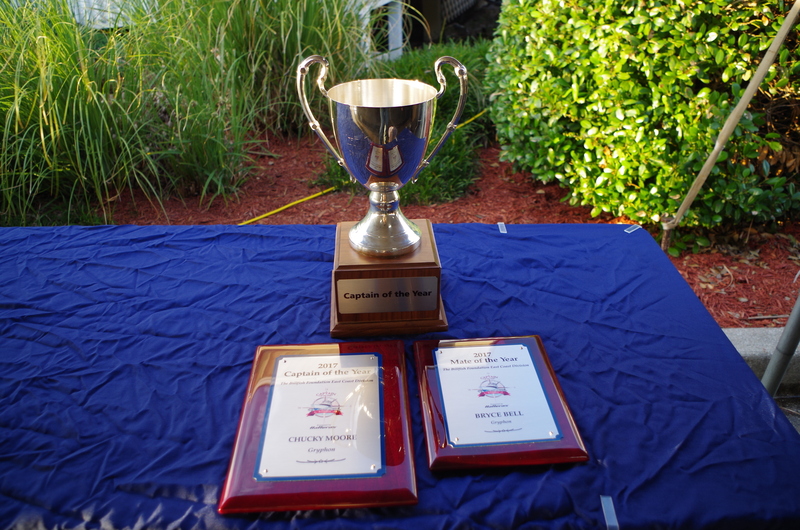 In 2014, The Captain of the Year Cup took on its current multidivisional format. From 2003-2013, a single captain won the award based on voting by past winners. 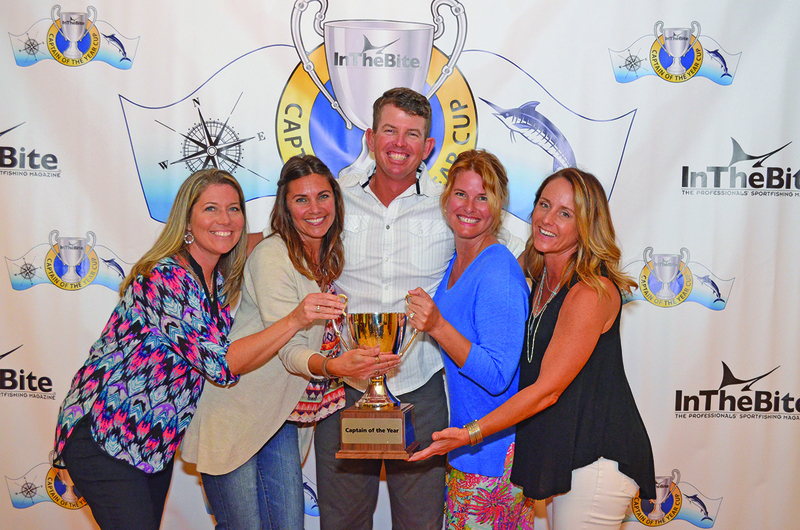 In 2014, to recognize the regional variations in the sportfishing landscape, the Captain of the Year Cup expanded to five divisions: East Coast Division , the Contender Florida Division, Gulf, Hawaii and the IGY Marinas International Division. Beyond the five divisions, InTheBite recognizes a winner of the World Wide Rankings, the captain who accrues the highest point total in the race each year. Each division is comprised of sanctioned tournaments, the results of which produce points for the COTY scoring. Sanctioned events must meet a 12-boat minimum. 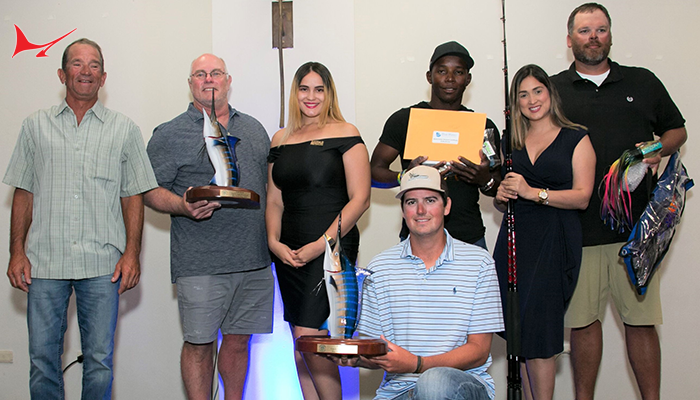 Scoring is accumulated in the catch and release divisions of billfish tournaments: 500-points for first place, 300-points for second, 100-points for third place. 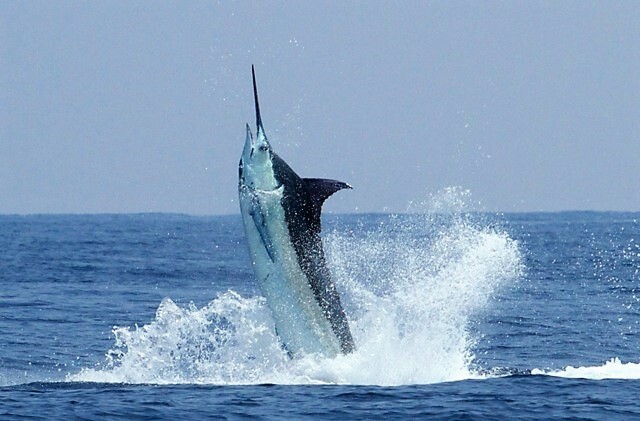 For tournaments that include a heaviest marlin division, there is an additional 500-points awarded to the winning captain. 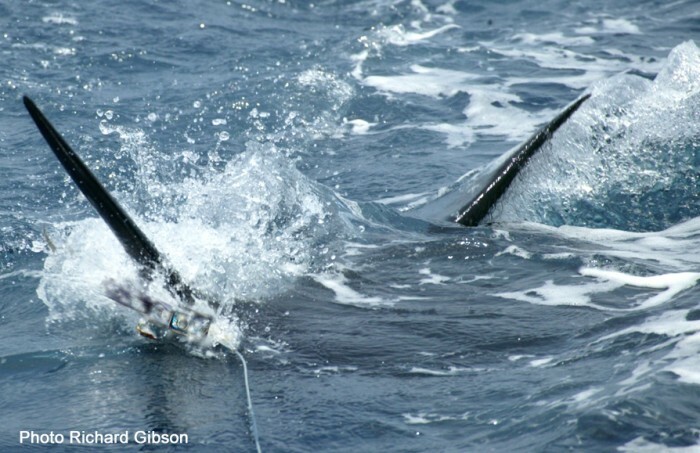 The heaviest marlin points are in addition to and separate from the points awarded for the release divisions. 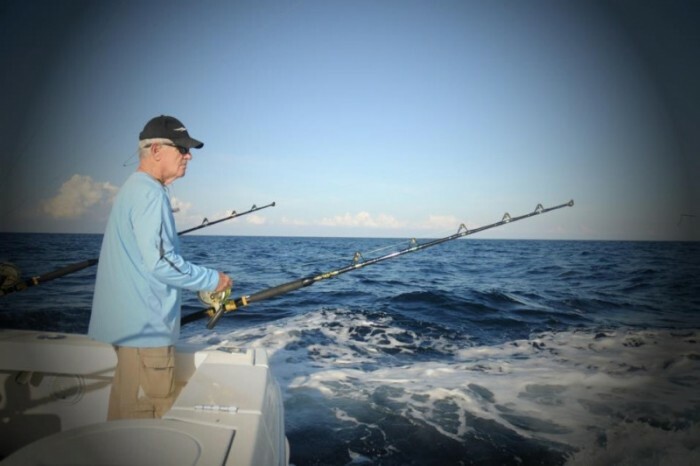 In this way, a captain could theoretically win 1,000 points in the same tournament (by weighing the heaviest marlin and winning the release division). 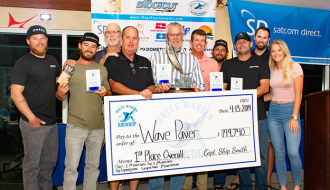 In tournaments that award top boat prizes through combined weighed fish and released fish, Captain of the Year points are awarded to the winner of the release division. An additional 250-points is awarded to captains who win series crowns in tournament circuits (Gulf Coast Triple Crown, the Los Sueños Triple Crown, etc.). The point tallies follow the captain, rather than the boat. 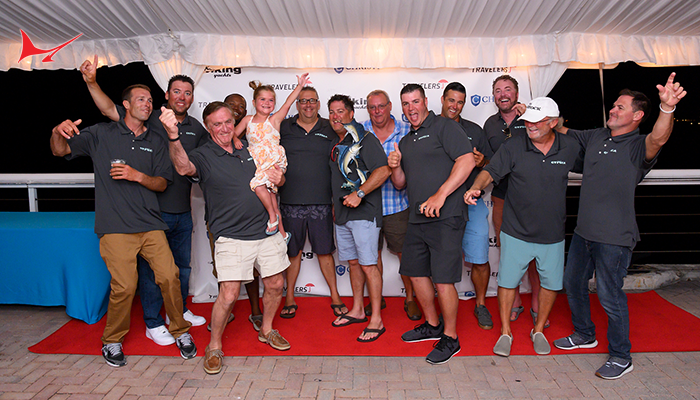 It is common for charter captains, especially in the Florida Division, to tally points on two or sometimes three boats in the course of the year. Not only do some captains score on multiple boats, some captains tally points in different divisions through the year. Multi divisional tallies were the key to the top two finishers in 2016’s World Wide Rankings—Captains Jon Duffie and Tommy Lynskey (each of whom scored in both the international and east coast divisions). What Does it Mean to Win Captain of the Year? Winning an ITB Captain of the Year Award is a big deal. From the early days of the award, when a single winner was chosen to the point-based divisional system of today, to win requires skill, consistency and dedication (nobody will turn down a little luck, either). 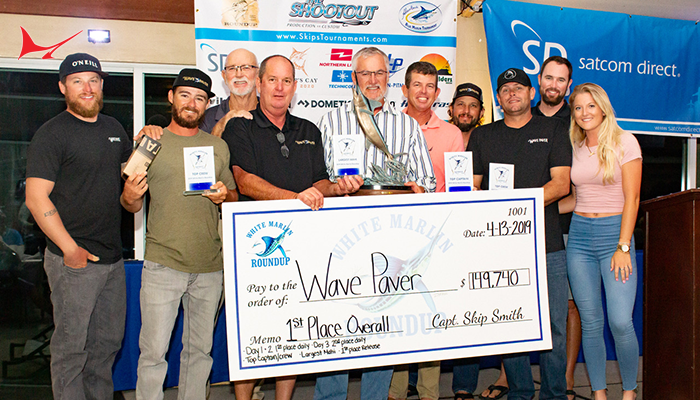 Winning a Captain of the Year award requires a sizeable investment in tournament fishing by boat owners, skill and proficiency of mates, and anglers who are consistently ready when the bite happens. While all of these things must be present, it is the captain whose decision making keeps winning boats on the fish. So Now You’ve Won Captain of the Year… Now What? It is standard practice that Captains of the Year host a party along with the presentation of the award. Just as there have been many different personalities who have won, the parties in the past have ranged far and wide. 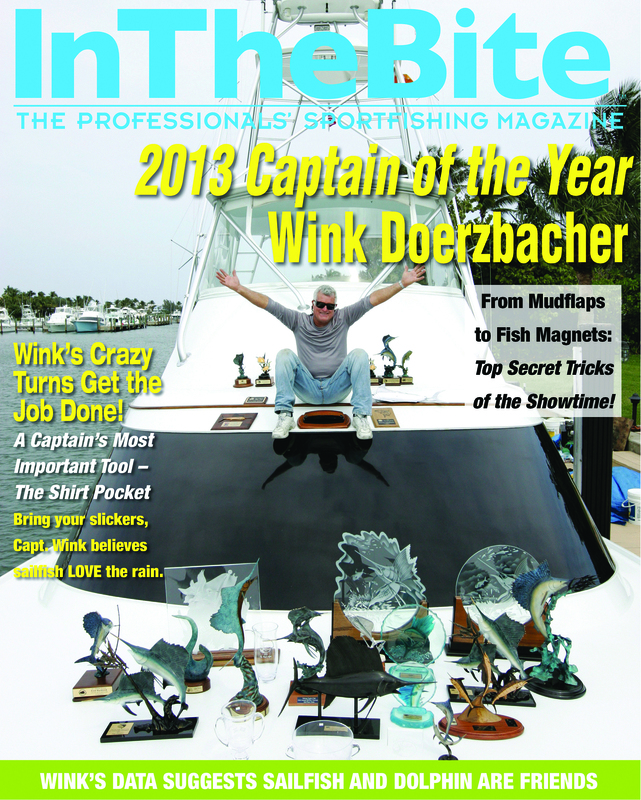 Captain Wink Doerzbacher won the 2013 Captain of the Year and the Florida Division Award in 2014. He celebrated in style with a reception at the Sailfish Point Clubhouse in Stuart, Florida. 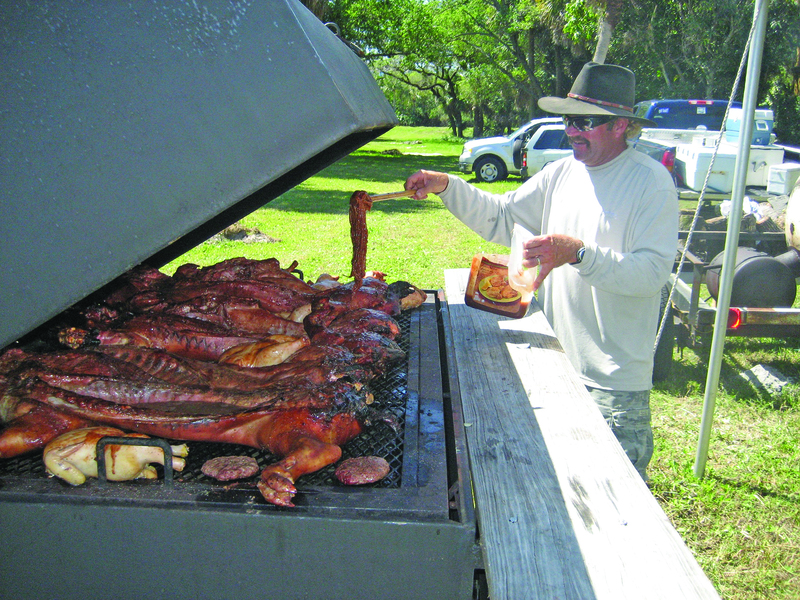 Captain John Dudas’ 2009 celebration was a catered affair at the legendary Miami Beach Rod and Gun Club. 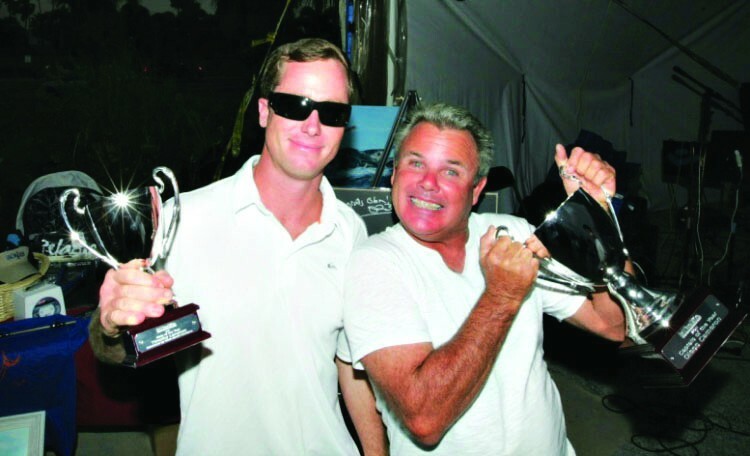 When Captain Ronnie Fields won it in 2010, the party was an epic affair hosted by Big Oh owner Gray Ingram at his home. 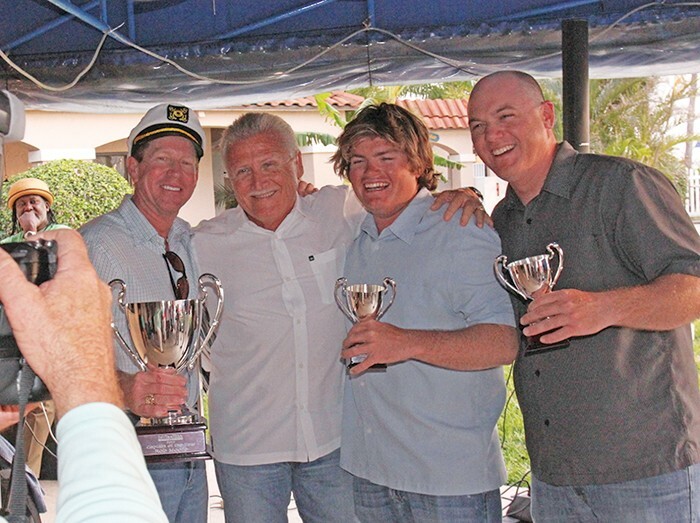 The reception for Captain Victor Julio Lopez included a friends and family affair on the cockpit of the Tranquilo after day 1 of a Los Sueños tournament and a formal presentation at the tournament’s award ceremony. 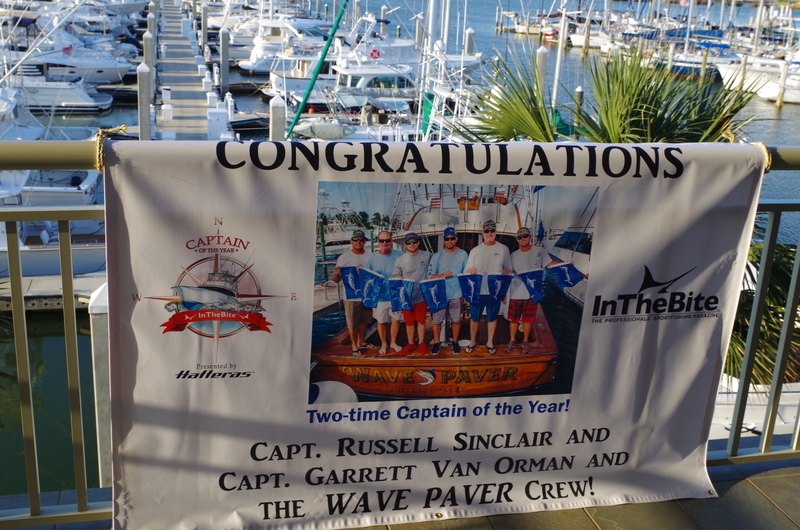 Captain Russell Sinclair’s reception was held at the Ocean Club Marina in Cape Canaveral, Florida. Some parties include pig roasts with guest chefs—like Captain Travis Butters (master of the pig roast), and some are a bit more low key. Compare this the bright lights and cocktail hours of some captains with the approach of back-to-back Hawaii Division Captain of the Year Kerwin Masunaga. Captain Kerwin prefers to live bait during tournaments and keep his head down. He lets his fishing do the talking for him. All of the diversity of approach is part of what makes the Cup so interesting. The Cup consists of 90-sanctioned events. The largest division by number is the Los Suenos International Division with 23-tournaments. The Hawaii Division consists of 11. 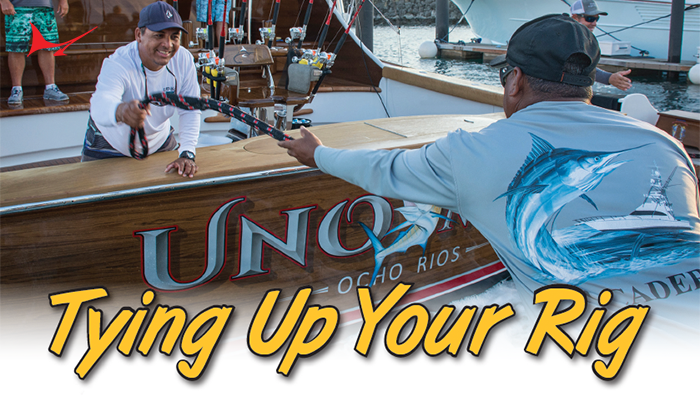 Sanctioned events are billfish tournaments that contain a minimum of 12-boats. 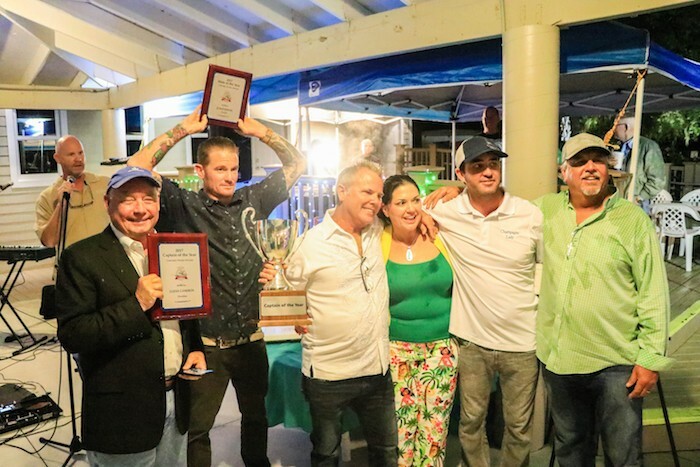 While the award is meant to recognize the achievement of captains, the setup of the structure benefits a wide variety of those with an interest in sportfishing. Tournaments are chief among them. InTheBite.com is the source for current standings and the latest cup news. 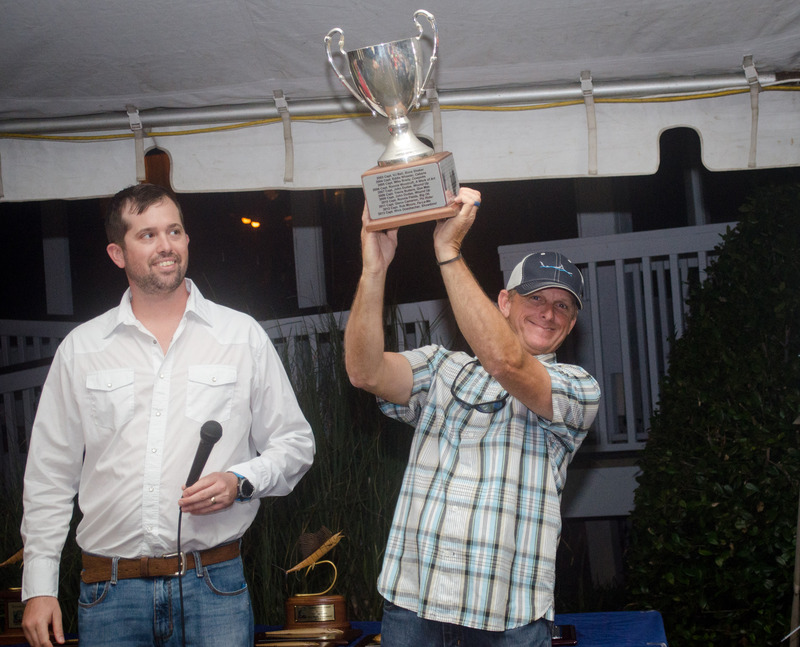 In the fourth year of its divisional format, the InTheBite Captain of the Year Cup, presented by Hatteras, is coming into its own. As the races heat up, the phone lines at the office ring with anticipation. “Who is winning?” “How am I doing?” “Do I need to fish any more events to keep my lead safe?” This is what makes tournament fishing fun and we’re honored to be able to recognize those who consistently produce. 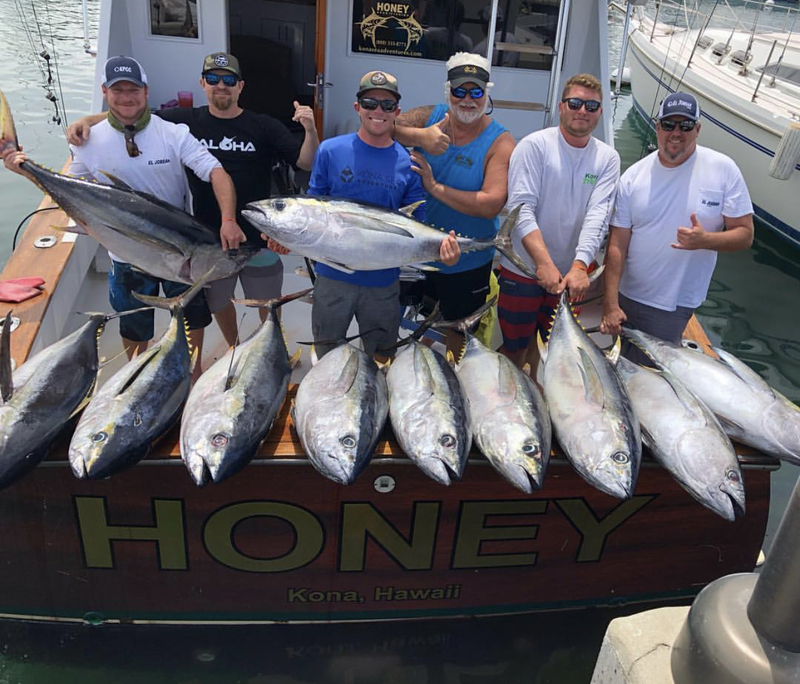 Since the beginning of the year, the fishing off Kona has been as red hot as the lava flowing 100-miles away on the other side of the island. With the upcoming tournament season approaching, including the infamous World Cup, it’s worth noting that the 500-pound plus blue marlin bite off Kona has been off the charts. As a dedicated professional fisherman, working the deck on the 47- Cabo Nasty Habit, and writer for West Hawaii’s local paper, I have documented the blue marlin catches of this amazing fishery and challenge any fishery in the world to match the numbers of blue marlin that have been caught or tagged and released since the first of January to May 26, 2018. The numbers of big blues are staggering, and Kona should certainly be considered as a tournament destination by anyone interested in world-class blue marlin tournament fishing, especially the World Cup. From New Year’s Day to May 26, 2018, anglers fishing Kona’s calm waters have reeled in and either caught or tagged and released a total of 59 blue marlin over 500-pounds. Of those 59 blue marlin, 12 were between 700-800-pounds, 21 were between 600-700-pounds, and 26 were between 500-600-pounds. Worth noting is, these are only the fish that are reported or that I know about from working on the docks. Many private and commercial boats do not report their big blue releases or catches to the Honokohau Charter Desk or the paper. On top of that, in the past two months, two granders eluded capture when leaders broke on both fish when they were next to the boat. I have seen both pictures and videos of the two fish, and both would have easily gone over the mark. That’s just the big fish too! The numbers for blue marlin under 500-pounds that were caught or tagged and released during this same time frame is in the hundreds. Earlier this month sportfishing legend Capt. Bart “Black Bart” Miller passed away. 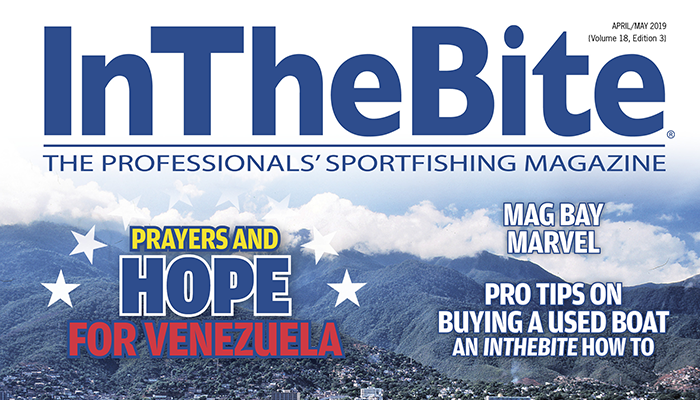 Bart leaves behind a lure company bearing his name and a list of marlin fishing feats that will likely never be duplicated. Miller was a veritable legend in the sportfishing industry and his passing was met with sadness from the many whose lives he touched. InTheBite is proud to have published some of Miller’s perspective. Here, from the archives, is one such piece. Rest in Peace Capt. Bart Miller. This age old question may never be answered scientifically, as it is far too subjective & intermingled with personal superstitions & general preference for one color versus another. For example, nearly all men like the colors blue, black, white, purple, silver, green and gold. 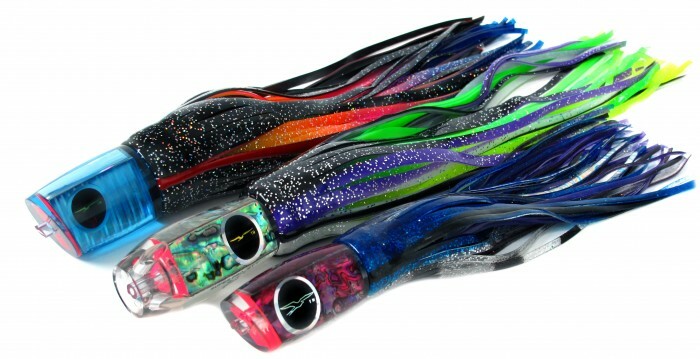 Is it any wonder that these very same colors are popular when choosing fishing lures and skirt combinations? It is also apparent that fishing destinations have dominant color choices that are shared by the vast majority of captains & crew’s; Green in the canyons, blue & white in the Carolina’s, blue & pink in Hawaii, black & purple in the Bahamas, petrolero brown, silver, black & orange in Mexico etc… Many of these color combinations, while proven in one area, can also work well away from home. When I first started trolling in Hawaii, there weren’t a lot of choices. I used a white plastic outer skirt, and later, white strip skirts with either black or a rusty red rubber inner skirt. These base colors, while very plain, worked just fine; but no one seemingly trusts such a limited selection of color options these days. Fishermen world wide have their special color favorites which become trusted standbys, each earning their place in the spread, whether in tournament competition or just out for a friendly troll. So it really boils down to what you truly trust and are comfortable trolling vs. some unknown combination that leaves you with a measure of negative feelings. So did vast color options become the fashion because they are now so readily available or because they really make a difference? My first thought was that the action of the lure superceded color importance, and later I began to value the concept of incorporating the use of proven color combinations. Years ago, I tried something I had never tried before. I called this combination the invisible man. I poured a clear head with no color and no insert, then I skirted this clear head with clear skirts. Once deployed into the water, you could see motion, but not shape or color. This no-color lure is once again a part of my arsenal today and proves the age-old adage that color really matters in the eye of the beholder. Marlin are now believed to see certain colors where once they were considered to be colorblind. Two theories come to mind as being valid in determining your final color selection and they would be to “Match the Hatch” and to consider having the proverbial oddball combo in the spread. In conclusion, my favorite colors would be Pearl shell heads because they match all skirt combos, and my favorite skirt combinations would be, black & pink, black & purple, blue & pink, black & rainbow, blue & white, and pink & red. Sometimes I go beyond that color palate but not very often! Amazingly for Kona, Hawaii, 51 blue marlin were caught during the 3 day Skins tournament and not one was over 500 pounds. 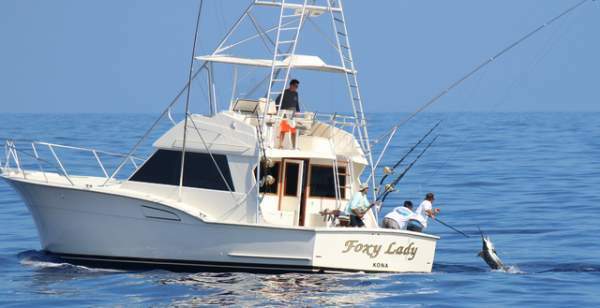 Captain Boyd DeCoito on the Foxy Lady won a decisive victory by tagging and releasing seven blue marlin, for a total of 1,400 points. Chip Collins from Texas took care of all the angling duities, while Kama De Silva and Mark Shubert ran the cockpit. 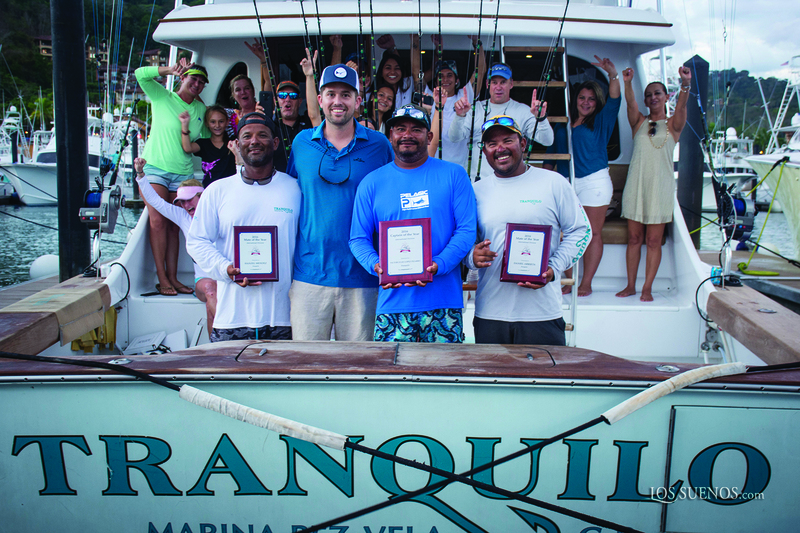 Last year’s World Cup winning team on Huntress was hot on their trail with captain Stymie Epstein and World Cup champion angler Stephanie Choate with five blue marlin tags and a total of 1,000 points. Nate “the Mate” and Kenton Geer worked the pit. 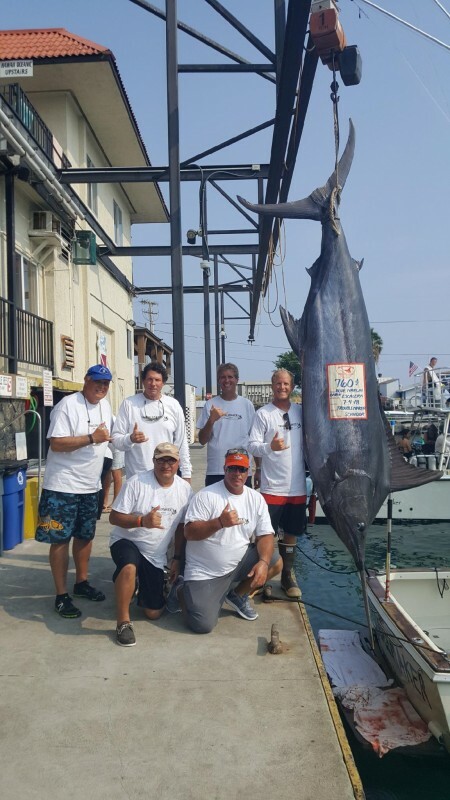 Right behind Huntress with 800 points were captain Carlton Taniyama on Five Star with Warrant Keith and Tom Goodman as anglers and captain Chip Van Mols on Luna with Chip’s daughter Jada Holt as angler.